Trinity Academy is a Classical Christian middle and high school in Portland, Oregon, built on the foundation of a joyful, discerning, and ecumenical Christian culture. They seek to prepare and inspire young men and women for a purposeful, successful future. I Can! Kids sells personalized books that not only teach children that they have the strength, courage, confidence and all that is necessary to achieve their dreams, but also inspire them to do so. AMEC Training provides some of the most extensive OSHA compliance, hazardous materials operations, emergency response and environmental health & safety training in North America. Project included SEO site audit and implementation of all recommended changes to the site. 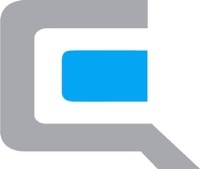 Quality Logic – providing Quality Assurance Test Tools and Test/Engineering Services for interoperability, compliance and performance testing in Digital Imaging, Telecommunications, Web, Mobile, eCommerce and Smart Energy markets. TutorGrams is simply a tutoring service for computer programs and programming languages. Learning with TutorGrams allows you to set the pace for a lesson, to choose a time that is convenient for you and to learn from the comfort of your own home. You can ask any question you like and receive multiple explanations until everything is clear. Marketing Metrics Solutions – Dr Roger J. Best is widely regarded as a pioneer in the field of marketing metrics. The author of Market-Based Management he was the first to introduce Marketing Performance Tools in the first edition in 1996. Today MBM is in its 5th edition and is used in many corporations and top MBA programs. MMH is an extension of his work in the area of metrics-based marketing management. 240Tutoring offers online, comprehensive study guides that are guaranteed to prepare a student for their certification exam. Every 240Tutoring study guide comes with the 240Tutoring Guarantee, benchmark assessments, and the most comprehensive resources available! Interview Cake is a study tool that preps software engineering candidates for coding interviews. They are focused on being the fastest, easiest way to become the kind of candidate companies fight over. Elite Training Programs has as their mission: to provide the most effective remote coaching in the world. They coach aspiring athletes so that they may continue to grow as an athlete and person until they excel at their chosen endeavor. Abbey Road Programs offers students the sophisticated experience of a savvy traveler, rather than that of a tourist shuffling among the masses. Founded by Stanford alumni in 2000, Abbey Road’s study abroad summer programs continue to deliver excellence. Their mission is to provide quality academic summer programs that facilitate cross-cultural understanding, personal growth and academic enrichment. Abbey Road was created through a collaboration of the best young professionals and educators from top schools and esteemed institutions. ComQuest helps prepare osteopathic medical students for their COMLEX by providing high-yield medical topics, including subspecialties, medical jurisprudence, and osteopathic manipulative medicine. They are based in Encino, California and were founded in 2008. Spoken Impact helps clients elevate their public speaking skills to the next level. Whether clients are looking to teach their team how to present their ideas more clearly, or want to polish their delivery and master public speaking, it is Spoken Impact’s mission to facilitate that transformation. Spoken Impact is based in Minneapolis, Minnesota. Manhattan Elite Prep is a multi-national test prep, admissions and career training provider. It is your one-stop, full-service authority towards garnering acceptance into your dream schools. They focus on Grad School Admissions, GMAT, GRE, LSAT, SAT, TOEFL, MCAT, Career Training, Computer Training, Language Classes, K-12, and so much more. Reverb Lessons is an online marketplace for music lessons, connecting students to qualified music instructors. Reverb Lessons help future and current music students connect with talented instructors either online or in-person. 6 Sigma offers online, onsite, and open enrollment six sigma training and six sigma certification in Green Belt, Black Belt, Master Black Belt, Champion, and Lean Agent Certification. They also offer White Belt and Yellow Belt training as required by your organization. They have delivered training and consulting services to over 1000 organizations since 2005. Wyzant believes that 1-on-1 learning works. But they also know it would work better if it were more convenient for everyone. So that’s what they’ve built—an easier way to connect people who need to know with the experts that can teach them. And they’ve changed the way people think about education in the process. With expert instructors in more than 300 subjects—including math, test prep, foreign languages, and more—Wyzant makes private tutoring accessible and affordable, in person and online. The University of Southern Mississippi is a comprehensive doctoral and research-driven university with a proud history and an eye on the future. Their mission is to cultivate intellectual development and creativity through the generation, dissemination, application and preservation of knowledge. They are located in Hattiesburg, Mississippi and were founded in 1910. Zelikow School of Jewish Nonprofit Management was founded in 1968 to address the need for more highly trained Jewishly committed professionals in Jewish life. With nine degree options the ZSJNM provides a highly individualized program in Jewish professional leadership. K12 Reader is a site dedicated to providing free reading instruction resources to parents and teachers. Help your children and students grow with the aid of Sight Words, Grammar Worksheets, and Reading Instruction resources. Last Minute CEU’s provides online courses, seminars and certification to complete respiratory CEU’s. They offer live seminars, 24/7, 365 days a year. Last Minute CEU’s courses are accredited by the American Association of Respiratory Care. Musika Lessons is a leader in music education. They offer private music lessons in student’s own homes or in teacher’s studios. Founded in 2001, Musika is an online music teacher referral service offered to independent instructors looking for teaching opportunities. They are dedicated to the highest standard, as an A+ Better Business Bureau rating to their risk-free trial lesson, Musika understands the importance of quality service. Guide to Online Schools has been helping prospective students find the right online college since 2004. Their free, easy-to-use tools allow prospective students to find schools based on degree, tuition, student recommendation rate, and military benefits, among other important attributes. Healthy Simulation has a mission to improve education, training and patient safety outcomes through the latest simulation in healthcare resources.